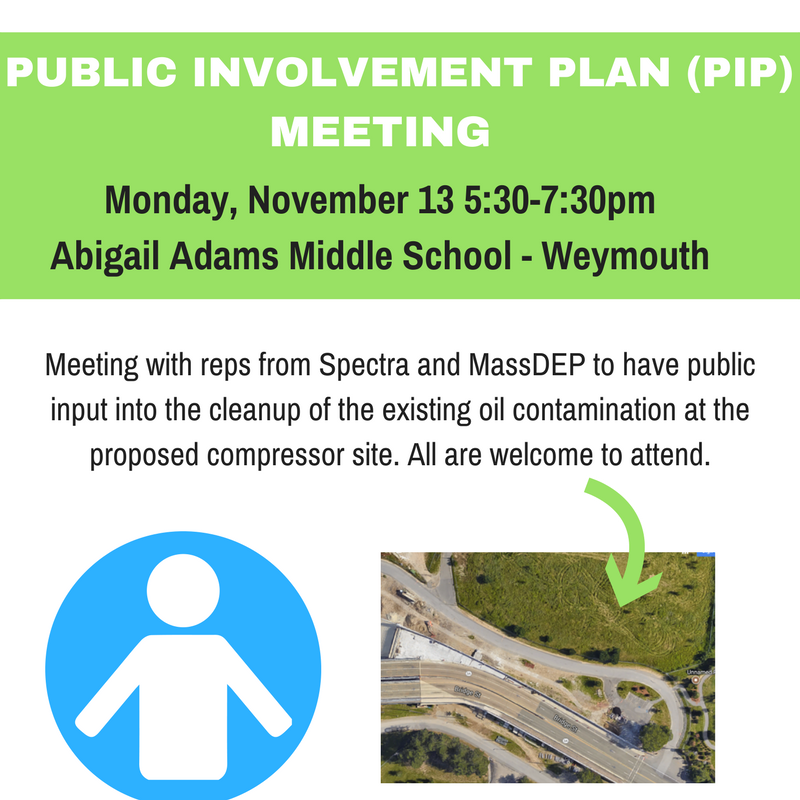 All are welcome to attend a meeting with reps from Spectra and MassDEP to provide input into the cleanup of the oil contamination site at the proposed compressor location. We filed a petition last month, with the help of volunteers, to be granted a PIP (Public Involvement Plan), in order to be involved in the cleanup process. Please join us, and invite others to join. Monday, November 13 from 5:30-7:30pm at the Abigail Adams Middle School in Weymouth. A draft document will be issued with a 20 day comment period ending on December 3.